A community newspaper's payment to enter a feel-good story about a family of Syrian refugees in an awards competition prompted PayPal to freeze the account of a national media organization after flagging the suspicious transaction, The Canadian Press has learned. The action by the U.S.-based Internet giant sparked dismay, anxiety and raised questions about Canadian autonomy. "It's quite scary about how insidious the security agenda has become," said John Hinds, CEO of News Media Canada. "The demonization and racial profiling, that's really scary, too." The weekly Flin Flon Reminder entered the article — titled "Syrian family adapts to new life" — last month as part of its submissions to the annual Canadian Community Newspaper Awards. The feature story from July 2016 outlines the challenges and triumphs as the family settled in the Manitoban town of 5,100 and the community's willingness to make them feel welcome. Reminder publisher Valerie Durnin said when she tried to pay the $242.95 for the paper's entries, PayPal flagged the payment as possibly not in compliance with its "acceptable use policy," which she said she hadn't been able to track down. PayPal did promise to follow up within 72 hours of its investigation, which it never did. Instead it reversed the payment. This week, Durnin called News Media Canada — formerly Newspaper Canada — to find out what had happened. They realized PayPal had frozen the News Media Canada account, said Nicole Bunt, who processes the awards entries. 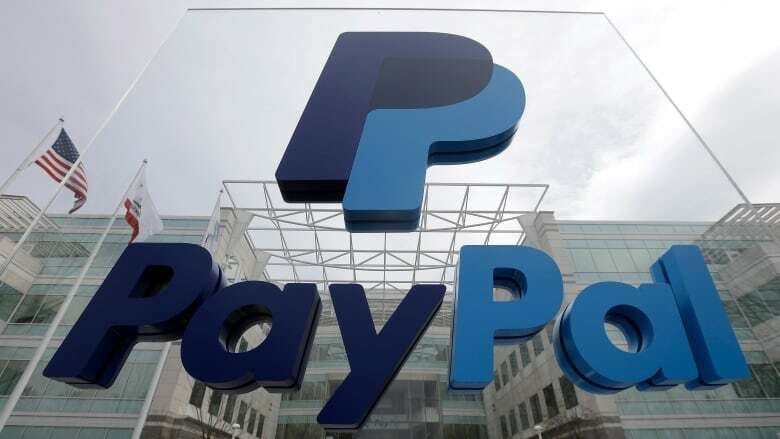 "You may be buying or selling goods or services that are regulated or prohibited by the U.S. government," PayPal said in an email to News Media Canada. The note also requested a "complete and detailed explanation of the transaction" and the purpose of the payment, which identified with the story's headline. "We would like to learn more about your business and/or some of your recent transactions." The PayPal message also said the company wanted to be sure that people using the global payment service complied with regulations, including those from the U.S. Treasury Department's Office of Foreign Assets Control, which, among other things, enforces sanctions targeting foreign countries and regimes, terrorists and international narcotics traffickers. Within hours of The Canadian Press asking about the situation on Friday, the account was unfrozen. "As there were some transactions related to the word 'Syria,' our teams are required to check some details as per our obligations to comply with financial regulations," a PayPal Canada spokeswoman said in an email. "We never want to get in the way of people's desire to do good (but) the U.S. Department of Treasury has clear regulations about payments to Syria." Still, Hinds said he was nonplussed by the "extraterritoriality" of what had happened. "Since when did the U.S. government start regulating Canadian media?" Hinds said. "It's pretty clear that our account is a newspaper account. It's not like we're Hamas Inc."
Bunt said the organization couldn't send or receive any money during the lockdown but the bulk of payments for the more than 1,000 entries had already been processed before the halt. "We encourage people to pay by PayPal because it's quicker for us and easier to keep track of," Bunt said. "It was a really nice article, and unfortunately it was flagged for the word 'Syrian.'" Durnin said everyone is aware of computer surveillance but what happened had hit close to home. "It's pretty odd and unsettling," said Durnin, who initially thought the issue might have been a new credit card. "It's such a disconnect between what the story is actually about and the reaction to it based on the words in the story." Hinds speculated that an automatic filter had flagged the payment — "it would be worse if a human was involved" — but wondered how many other reporters or media might run into problems given the nature of the stories they do. PayPal did not immediately explain its process.